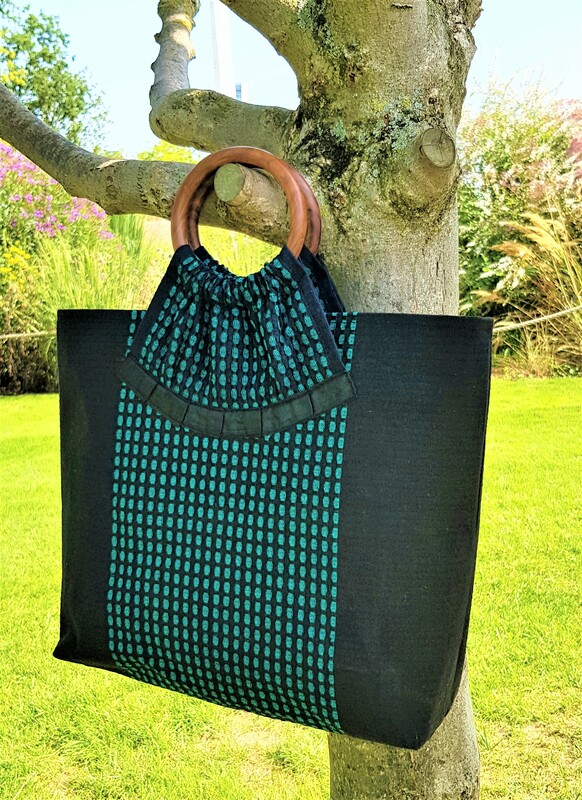 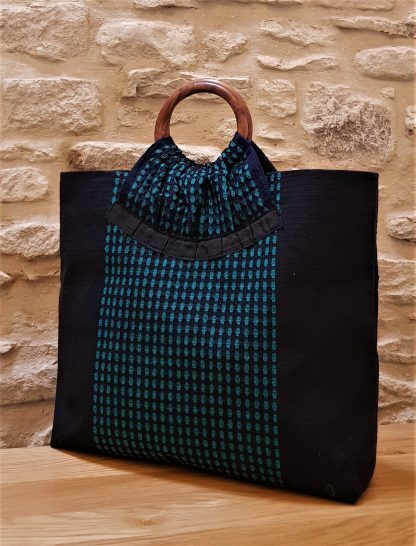 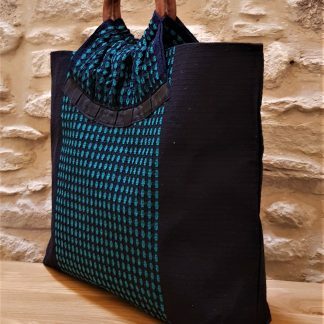 Made from grren and black handloom woven fabric, this bag comes with wooden handles.Ideal for shopping or for those days when you need to carry a little more than usual for work or on a day out.Lined with beautiful printed cotton with an inside zipped pocket. 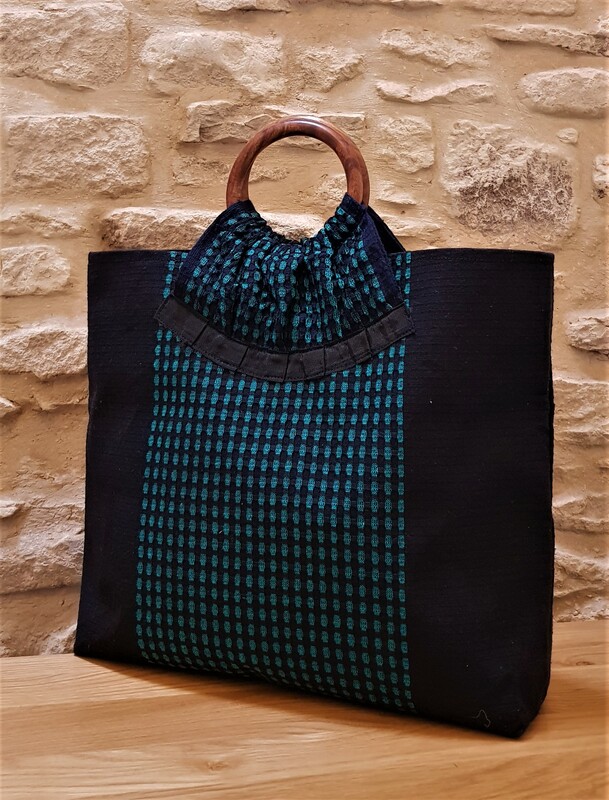 Made from grren and black handloom woven fabric, this bag comes with wooden handles. 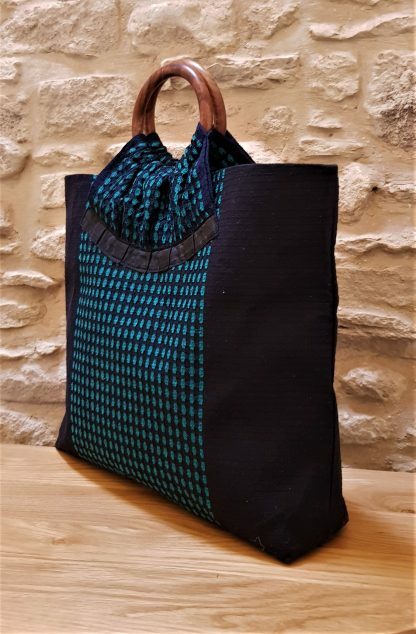 This is a good size bag,ideal for shopping or for those days when you need to carry a little more than usual for work or on a day out.Lined with beautiful printed cotton with an inside zipped pocket. 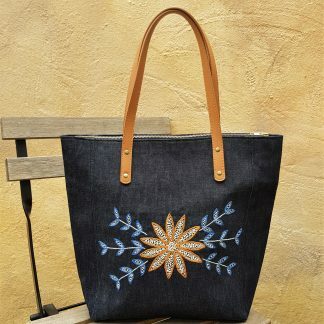 Handloom weaving is an old way of weaving textiles which is practiced in many countries,handloom weaving is an art and it needs a lot of skills to weave especially one with a pattern,it’s slow but the result is usually unique and one that cannot be repeated by a machine. Made by the talented artisans Enfair is working with in India.